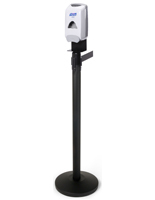 Freestanding soap dispenser unit is ideal for use in any busy and high-traffic areas. Front loading, quick clip frame designed to display 11" x 17" posters. 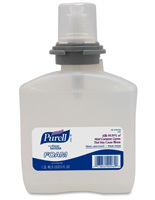 Purell® LTX™ hand soap dispenser included to keep germs from spreading! Battery operated automatic system provides quick and precise dispensing. Designed for 1200 mL gel sanitizer and foam soap (not included). 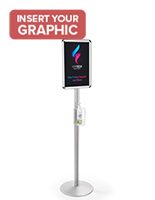 This floor-standing display, sanitizing station is an essential display to minimize and reduce the spread of infection and bacteria. 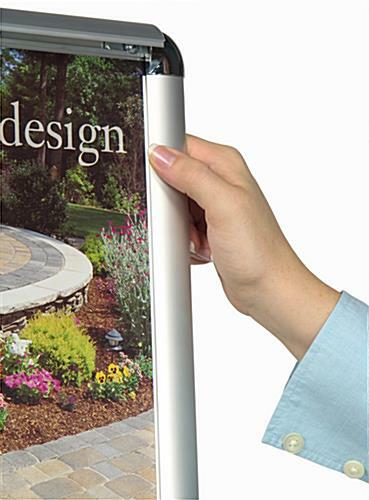 The hand sanitizer stand is durably constructed from brushed aluminum with a weighted base. 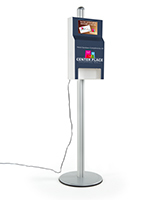 This sanitizing station that is floor-standing utilizes a snap open and close sign holder. The quick clip frame is designed for fast and easy change-outs of your graphic advertisement. 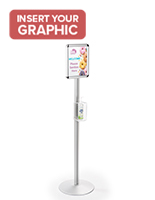 This sanitizing station that comes with an 11" x 17" snap frame is great for showing hand washing advertisements to further emphasize the importance of hand cleanliness. The neutral silver finish provides a neutral tone that will coordinate easily with any commercial environment. 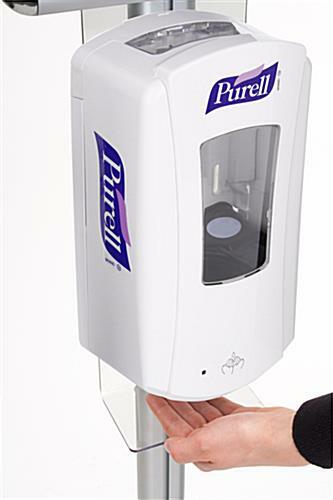 This Purell® LTX™ dispenser, sanitizing station uses motion sensor technology which provides users a sanitary and touch-free operating system. As soon as the sensor detects the proximity or just a wave of your hand, the automatic machine will automatically dispense the right amount of gel or foam soap. 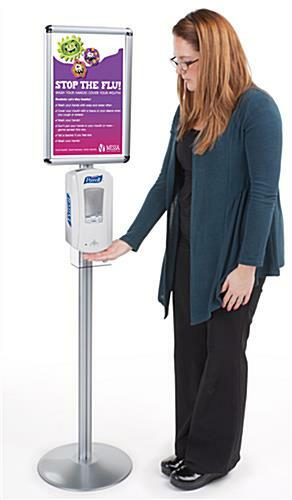 A sanitizing station, like this sign display, helps to eliminate the millions of germs that hands can pick up each day! The hands free operation also helps to eliminate concerns of cross contamination. 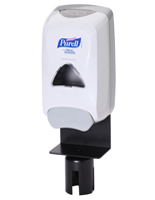 This sanitizing station that includes a Purell® LTX™ dispenser is operated by using three C alkaline batteries. Batteries will be included with the unit. 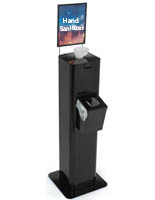 A free-standing sanitizing station is perfect for use in any common area such as schools, cafeterias, banks, lobbies, pharmacies, hospitals, restaurants, entryways and grocery stores. Each unit comes with a built-in acrylic plate with a tray to catch drips. This can help keep the surrounding area clean. Prevent the spread of germs and stay healthy all year long with this hands free sanitizing station. The Purell® LTX™ dispenser also features a large window that helps users know when the liquid levels are low. This touch less dispensing system is designed to hold 1,200 ml of gel sanitizer or foam soap (sold separately). Instead of using cleaning wipes, substitute them with this Purell dispenser stand that is a more environmentally friendly option for killing germs. This Purell® LTX™ dispenser is sold in an 8-1/2" x 11" version as well (see related products on the right hand corner for more options). Please Note: The hands free Purell® LTX™ dispenser does NOT include sanitizer. 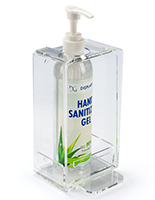 Users are required to purchase the 1200 mL instant sanitize gel or foam separately. We are a ballroom dance studio so there's a lot of hand contact. This should reduce sick days! What a great photo, Renzo! Thanks for sharing. We hope to hear from you again soon. You need to have better instructions with this product. First of all, the instructions that I received seem to go with a different product. The instructions listed to download on here are too vague for how many pieces of hard ware come with the product. Hi Paul, We are sorry to hear you had issues with the instructions. A customer care specialist will reach out to you shortly. We're sorry that your order arrived incomplete, Patrick. A customer care representative will reach out to you promptly. I agree, the instructions are impossible to figure out. I have two to put together and its very frustrating. Posted 2 months ago by Lisa H.
Hi Lisa! We're sorry that you've had difficulty with the instructions. I have forwarded your feedback along to our product development team, and we'll have a customer care specialist reach out to you on Monday to assist.